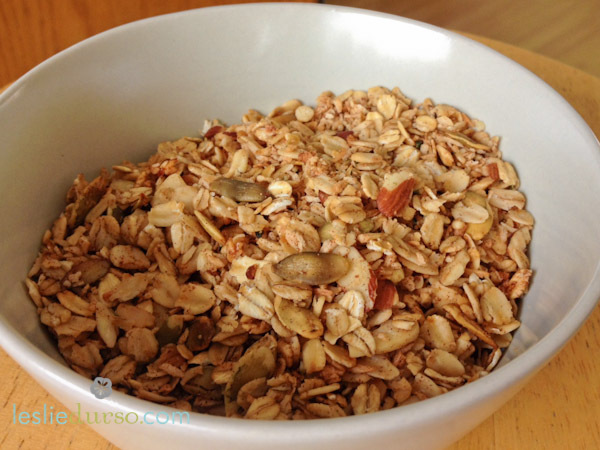 You have probably already made your own granola, but, have you every made granola in a frying pan? It lets you make a smaller batch and makes it extra toasty! My favorite way of eating this granola is sprinkled on top of my Sambazon Chia & Cocoa Acai Bowl. Just wanted to tell you that this granola is fabulous…wow. Looking forward to trying some more of your recipes! Thank you Alissa! I am glad you enjoy!